For Malaysians, Korean barbecue and kimchi are probably be the first things that come to mind when discussing about Korean food. These dishes are typical of many local restaurants in Klang Valley offering a taste of South Korea. 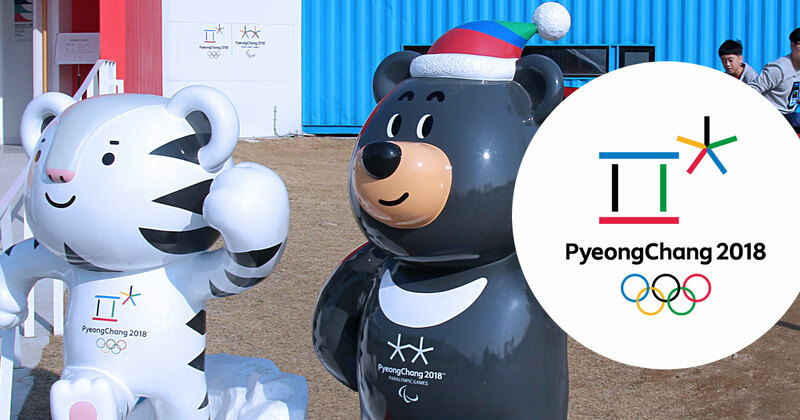 However, nothing beats an authentic experience and the upcoming Winter Olympics 2018 poses an opportunity. 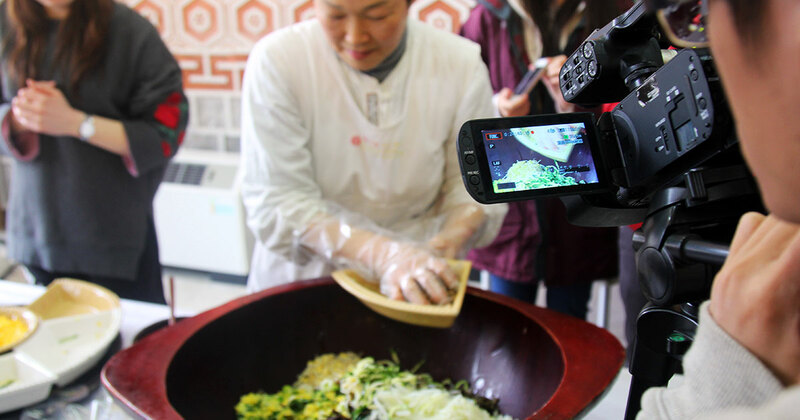 While the focus of attention may be in the host city of PyeongChang, the wider province of Gangwon promises to offer a delightful culinary experience. Being a thriving agricultural province with a coastline of over 200km, it has more to offer than the mundane, including an abundance of seafood. One such gem of a restaurant is Daegewangguk. 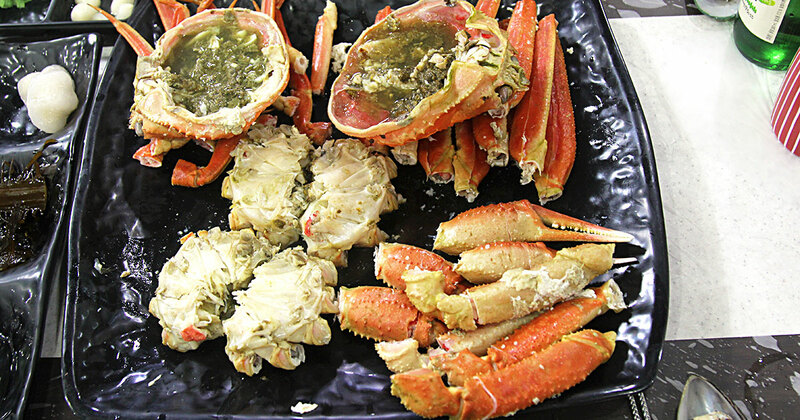 Daegewangguk, literally meaning the Kingdom of Crab, offers a rich selection of crustaceans dishes. 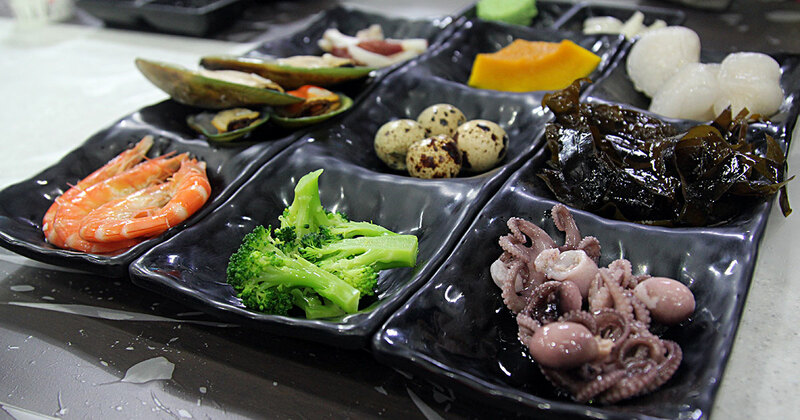 At the restaurant, guests are greeted with a tray of nine kinds of appetisers, including fresh prawns, baby octopus, mussel and quail eggs. A popular main dish here is its steamed red snow crab. The shells of the palm-sized crabs are broken up and neatly placed on a plate, allowing diners to easily savour the succulent meat instead of having to deal with the hassle of a crab mallet. 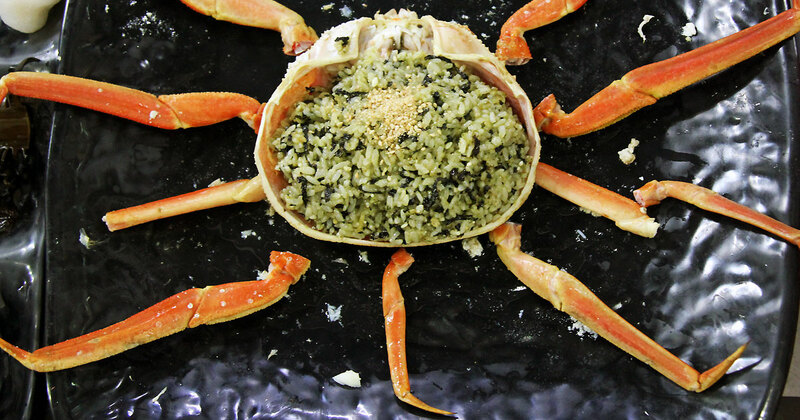 The legs of the crabs are also removed and broken up and can be easily eaten with the aid of a scissor. Another must have is its crab meat soup and crab shell fried rice. 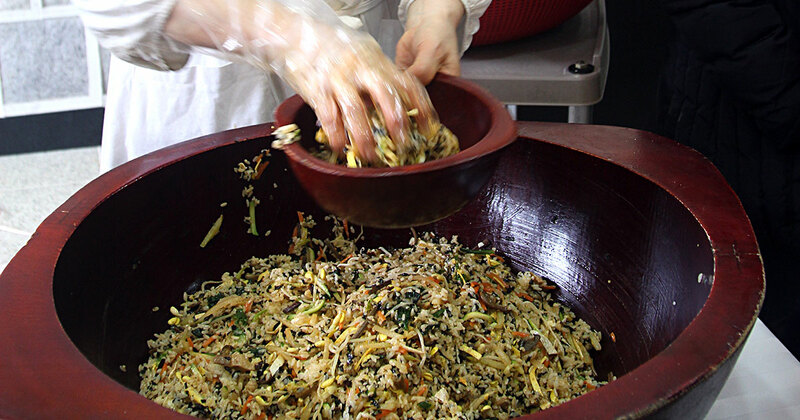 Away from the coast, the Taebaek mountainous region produces a variety of vegetables which are used in Bibimpap, a traditional Korean mixed rice. Similar to the ‘lousang‘ concept in Klang Valley back home, diners can mix the myriad of ingredients before tucking in. 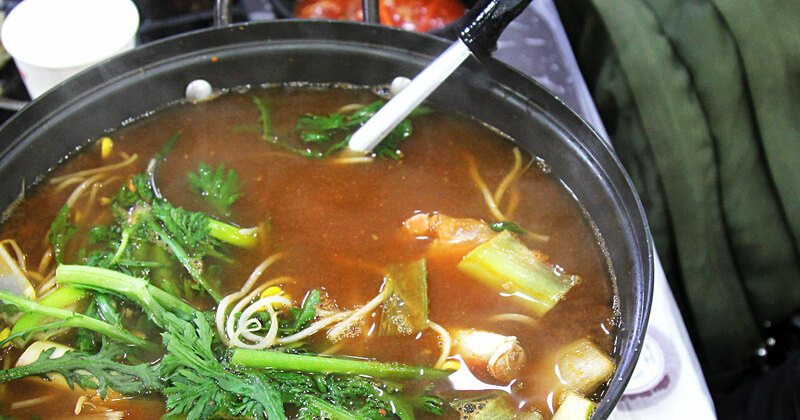 The ingredients include shredded mushroom, cucumber, turnip, carrot, bean sprouts, spinach and five other vegetables. They are simultaneously poured into a giant wooden bowl filled with rice, along with gochujang chili sauce and sesame oil. After being tossed around, the dish is completed with a seasoning of seaweed. 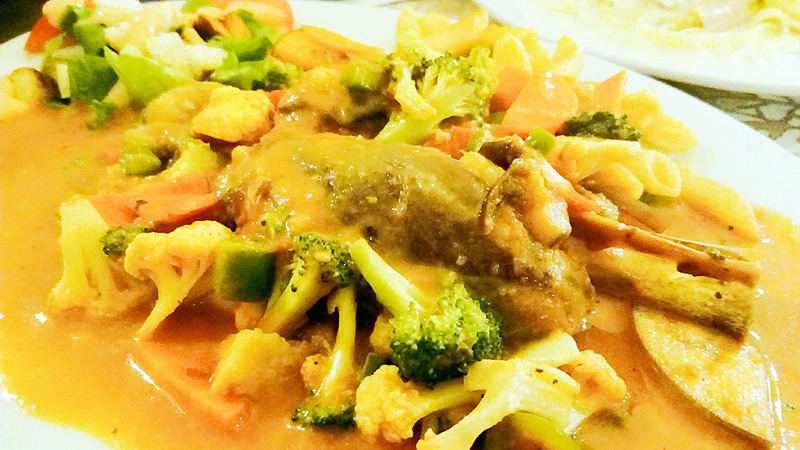 The restaurant only uses the freshest vegetables from the region and diners can savour in its crunchiness. 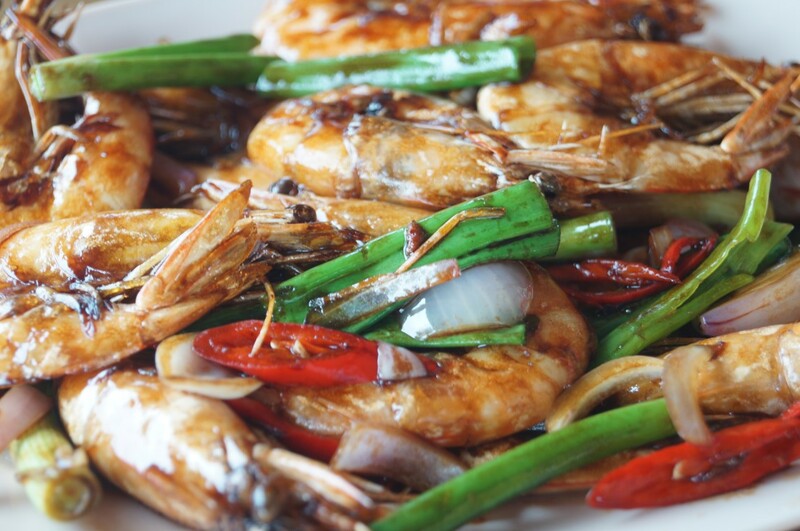 Diners with a penchant for spiciness can add on brown chili sauce. Hundreds of Onggi earthenware can be seen in the dining hall, which is used by the restaurant to produce its own brown chili sauce, red chili paste and kimchi which complements the Bibimpap. They come with side dishes including kimchi, pickled turnip and lotus root. 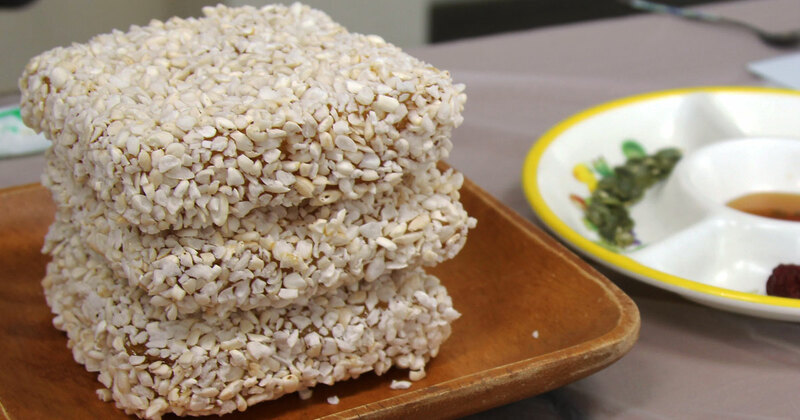 After the scrumptious meals, diners may want try a traditional Korean dessert, the Hangwa. 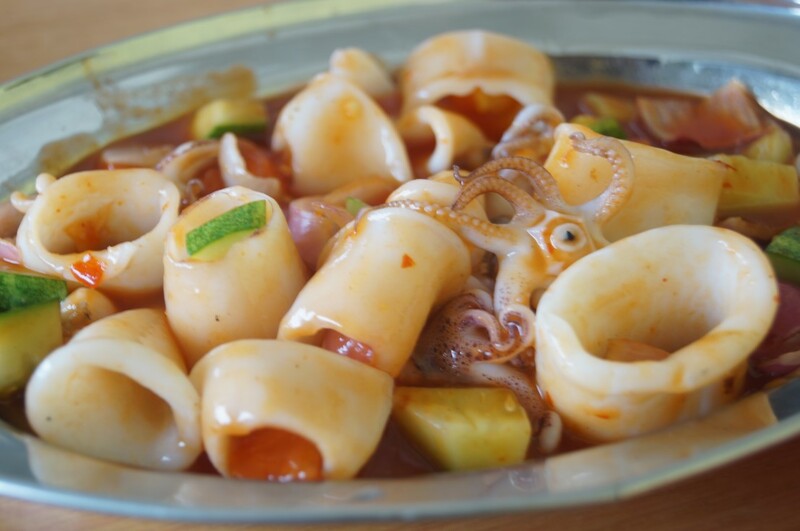 Galgol Hangwa Village is well-known for this dish. 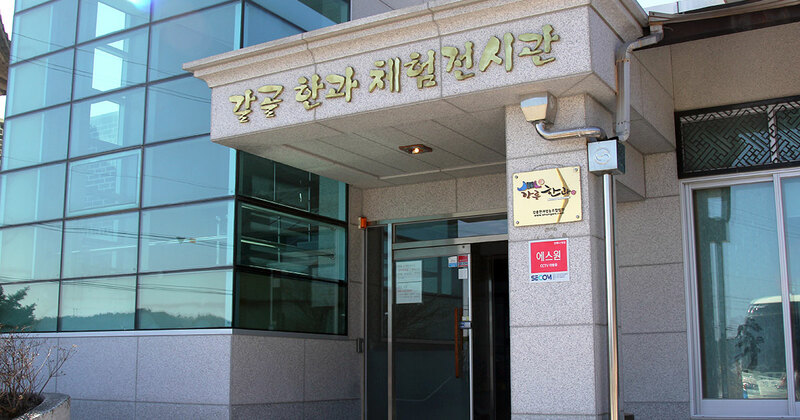 Address: 446, Nodong-ri, Sacheon-myeon, Gangneung-si, Gangwon-do. 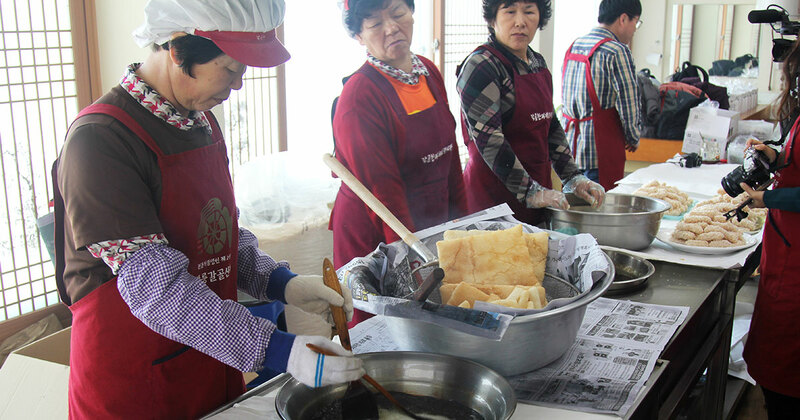 In Korean culture, Hangwa is a festival food, served in wedding receptions, parties and paying homage to ancestors. In the past, it was considered a rare confectionery for commoners. 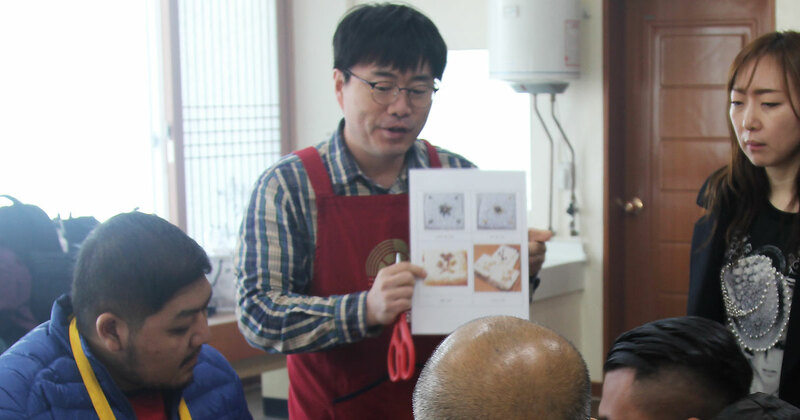 Choi Hyung Jun, a fifth generation owner of the restaurant, said the popular sweet was even banned during the 1960s to 1980s on grounds of saving rice. “The government had difficulty taxing small businesses selling the sweet, so they banned it. “My father had to sell it secretly,” he said. 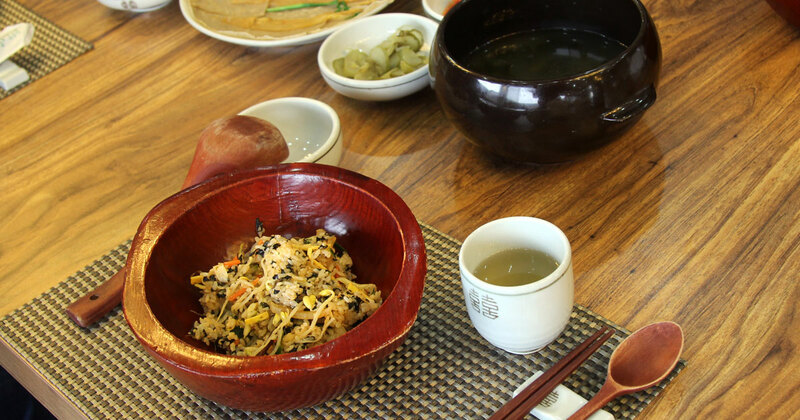 These dishes and treat are only a taste of what the province of Gangwon has to offer for an authentic Korean experience. 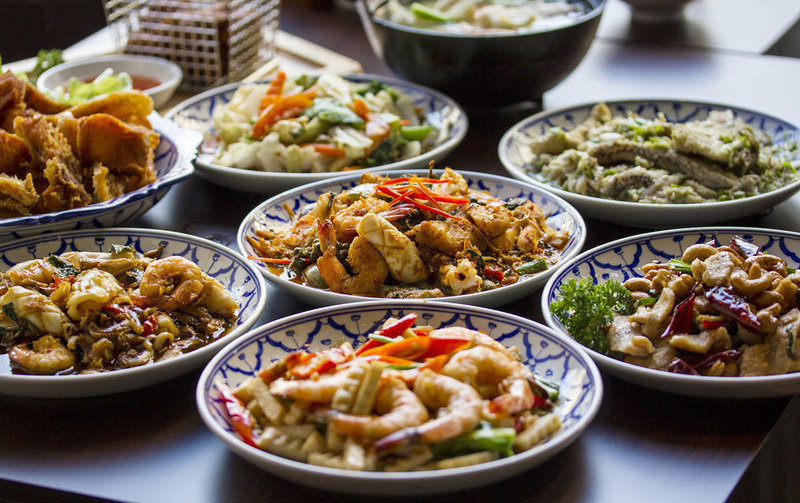 Desa Aman Puri is like a melting pot and a haven for various types of gastronomical delights. From the authentic Italian cuisines served at Bel Pasto Italian Pizza and Tak Fook Hong Kong Seafood Restaurant to the famous Hakka Lui Cha at the Big, Big Bowl Cafe and Indian Nasi Beryani at Anuja Restaurant, Aman Puri has a lot to offer to people, both to the locals and those living in the Klang Valley. Although it is a mere 10-minutes’ drive from One Utama heading towards Bandar Sri Damansara at the tail end of the Puchong-Damansara Highway (LDP), the prices of food here are far more reasonable by comparison to restaurants in Petaling Jaya. The restaurateurs here have to learn that if they raise their prices, especially after more people flock this way, they will no longer be attractive be attractive to foodies from Petaling Jaya and beyond. In the past few years, the place has become popular for all kinds of cuisines, with more new restaurants such as Restoran Fei Fei Crab and Restoran Lan Je being set up here. The original Fei Fei Crab is in Petaling Jaya, while the first Lan Je restaurant started in Rawang. Those that fail to maintain their standard or where the food is pricey simply do not survive here due to very tough competition not only within Aman Puri but also from other restaurants within a radius of 5 kilometers. A number of restaurants have come and gone, but the ones that survive more than a year are doing well. 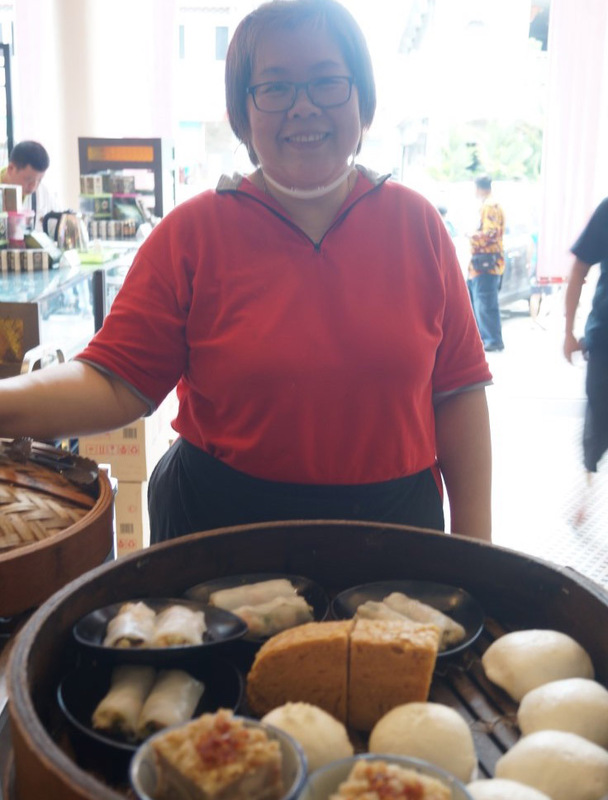 Nancy Choo, 63, for example, used to operate a stall in Aman Puri where most people know her as Auntie Nancy’s eatery. 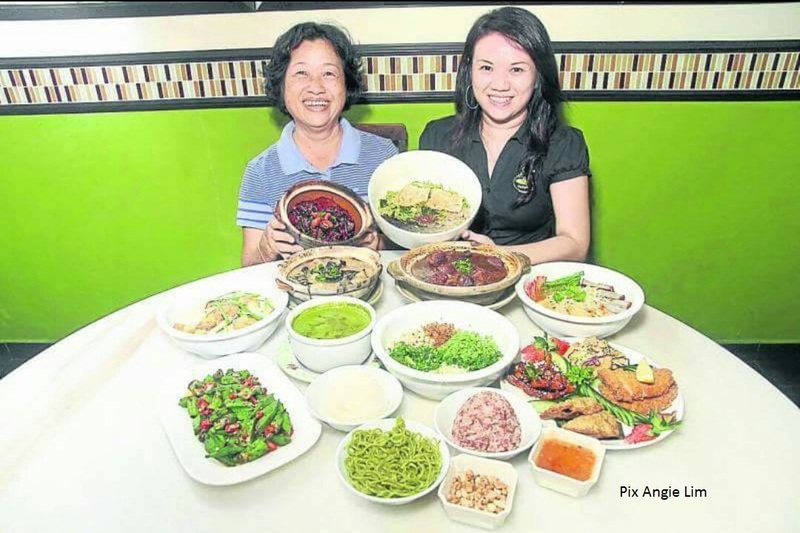 Since closing down her stall, she has joined forces with her daughter, Angie Lim, where the mother-and-daughter pair has a bigger variety to offer at Lim’s Big, Big Bowl Café. 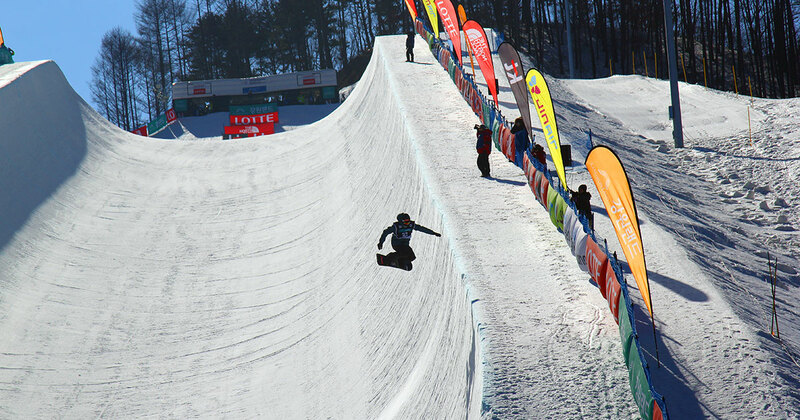 Choo has a strong following; therefore, her presence at Big, Big Bowl has helped to boost the business a lot. Judging from the photographs in their Facebook page, Lim also was operating a successful business when her restaurant was previously based in Kepong. Apart from their signature dish, the Hakka lui cha, I like Lim’s fish fillet noodles and her pan mee. Her laksa noodles is also good and worth trying. What is interesting is that her noodles are all hand-made. I have yet to try her mother’s cooking. I will do it when I travel in that direction. Adjacent to Lim’s Big, Big Bowl Café is Love Earth organic restaurant, which is also worth checking out especially its Taiwanese soup noodles. However, most guests may not like their self-service concept, which is sometimes a big letdown especially when there are hardly any other clients during off peak hours. For the crabs, both Tak Fook and Fei Fei come to mind. 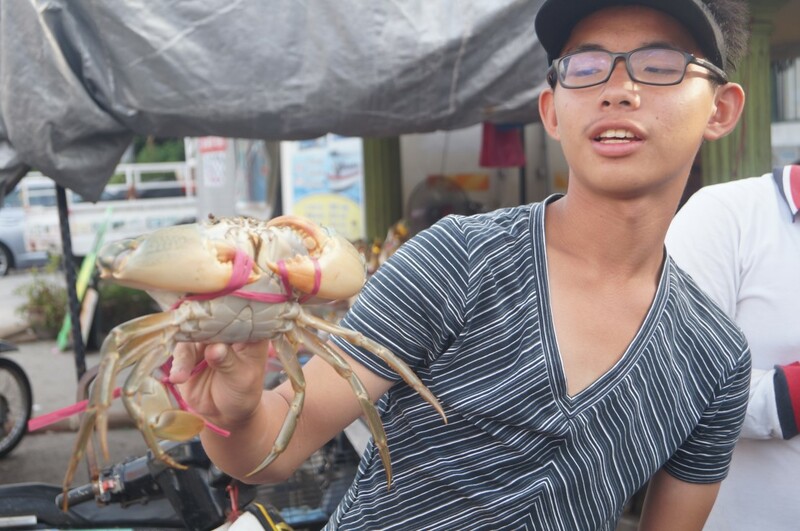 During special promotional seasons, Tak Fok for example can offer crabs at RM25 a kilogramme. The owners are a young couple from Hong Kong. This is their original restaurant, where it is mostly packed at night. Restoran 168 specialises in both dry and soup pan mee but surprisingly, despite pan mee being a very common dish, the place is often packed in the morning. Just behind is the Penang Chew Jetty where the proprietor once operated from a small stall in Aman Puri. The best restaurant in my opinion is still Bel Pasto, operated by one Italian chef, who prefers to be known only as Sam. This restaurant is famous for its authentic Italian cuisines because the chef is Italian himself and very passionate about his food. Try his Tiramisu, and comparing his prices and the quality to other café, it is value for money! Every time I introduce guests here, they give him the thumbs-up! Bel Pasto is the kind of place I would bring my foreign guests. A year ago, when I had some visitors from Canada along with their children, they enjoyed the food so much that they decided to give us a treat in return at the same restaurant. Like in most other places around the country, Desa Aman Puri needs a good facelift. Alfresco-style seating may be popular with Malaysians who prefer the street food to posh restaurants, but having huge but ugly looking canvases will not do a lot of good to guests from overseas. It is time that the local council improve the image of the township. Rubbish is also strewn all over the place and some drains remain uncovered after the concrete slabs used had been removed. If properly covered, some of these public drains could provide some useful parking spaces. Selayang Municipal Council Zone 23 councillor, Ng Wei Keong, has promised that he will look into the facilities and the cleanliness of the place, but it may take a while before the local council staff work on improving the area. The state government has sponsored the bins; they should therefore keep their own places clean. With a little effort from the restauranteurs and the public perhaps to keep the place clean, Aman Puri can become a haven for all the salivating food lovers. 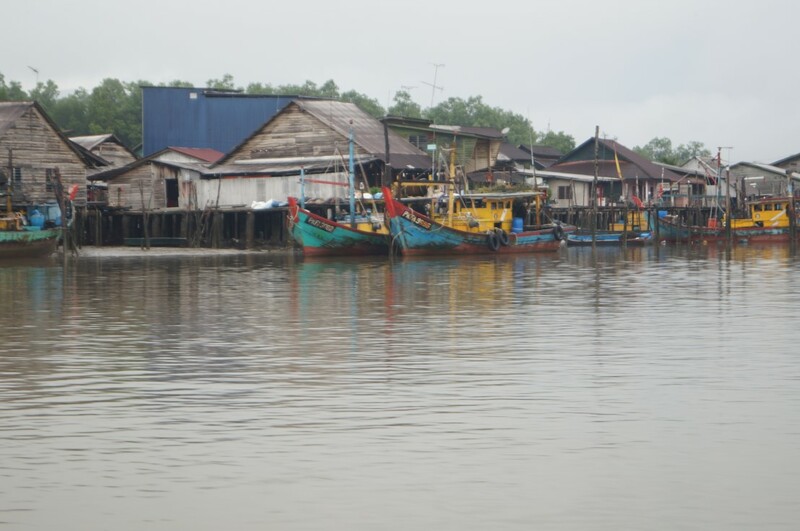 In the past, it was only Pulau Ketam, but in recent years, both Sekinchan and Tanjung Sepat have emerged as attractive local tourist destinations to Malaysians. Kuala Sepetang in Taiping, Perak is hardly known to most people, including people living in Perak. 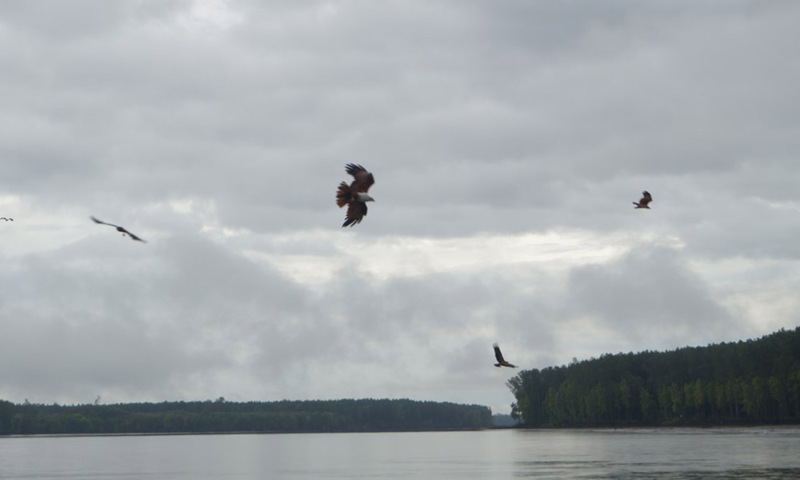 Although some bloggers have written about it, it is only in recent years that, along with the Matang Mangrove Reserve, the fishing village has become an interesting tourist spot, especially for its dolphins and eagle sighting. There are also the beautiful fireflies which decorate the plants by the riverside at night that would mesmerise both adults and children alike. And, of course, the fresh seafood and the fried porridge, besides also learning how the charcoal is produced locally in Sepetang. 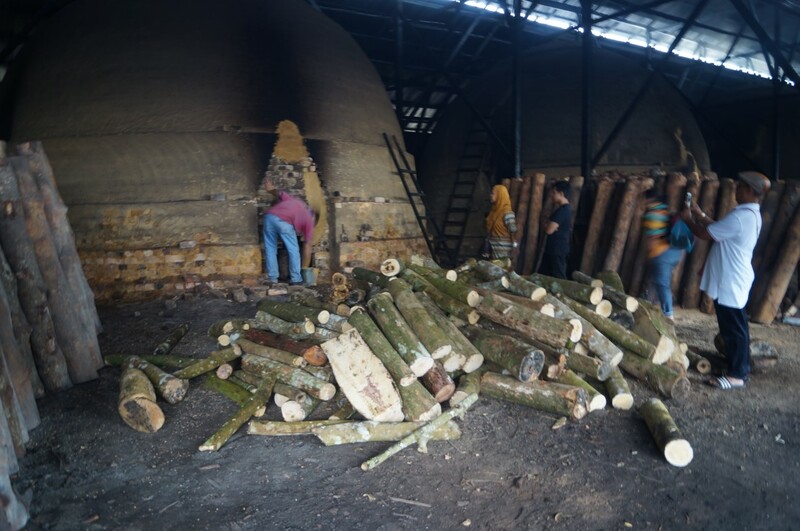 Frankly, before this visit, I never knew that charcoal was man-made. 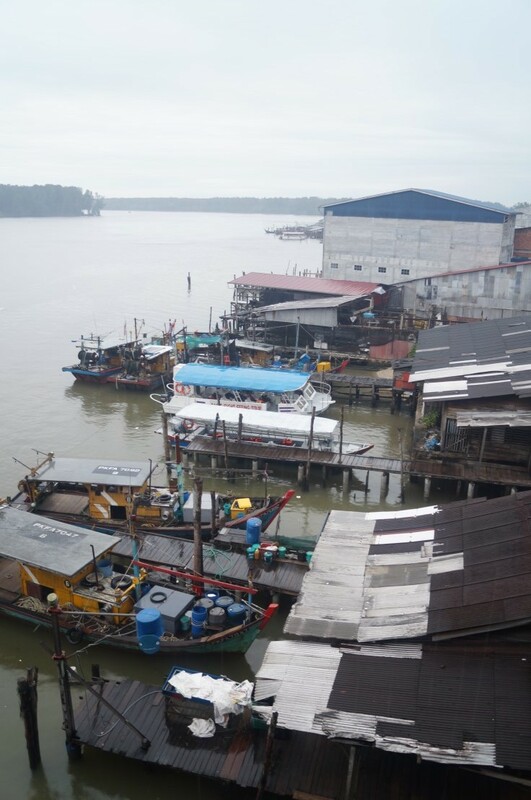 Although it was pricey, we stayed overnight in Kuala Sepetang because we wanted to experience living in a fishing village. There are currently not many hotels in the fishing village. Happy Eight, for example, charges between RM200 to RM400 a room, and each room has its own theme. By the end of the year, I was told another hotel would be up, and maybe by then, the prices would be more competitive. The beauty of the experience of living in the fishing village was the tranquility of the night. 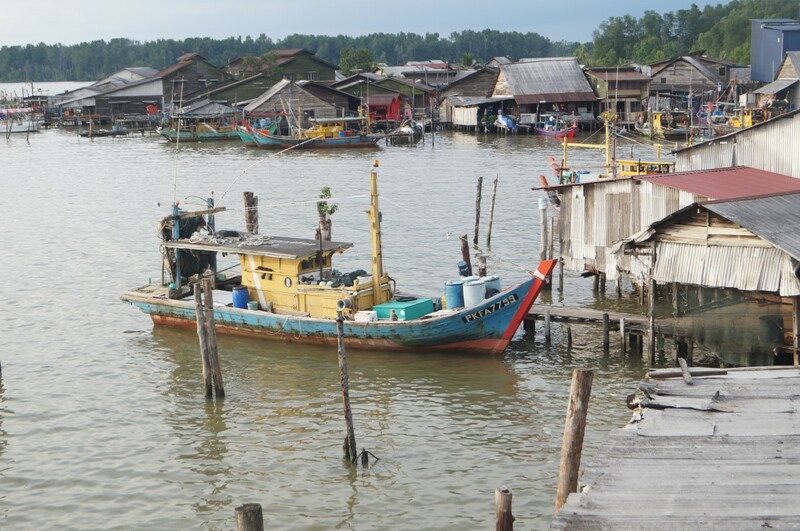 Instead of birds chirping early in the morning or the engine noise from the early rush hours, over here at Sepetang Fishing Village, there were only the trawlers returning to the jetty from the sea. But, that is fine, when you know you are on holiday here. One downside, however, is that the local council has not paid enough attention to cleaning up the river here. It is not the kind of place that you would bring foreign tourists to visit. 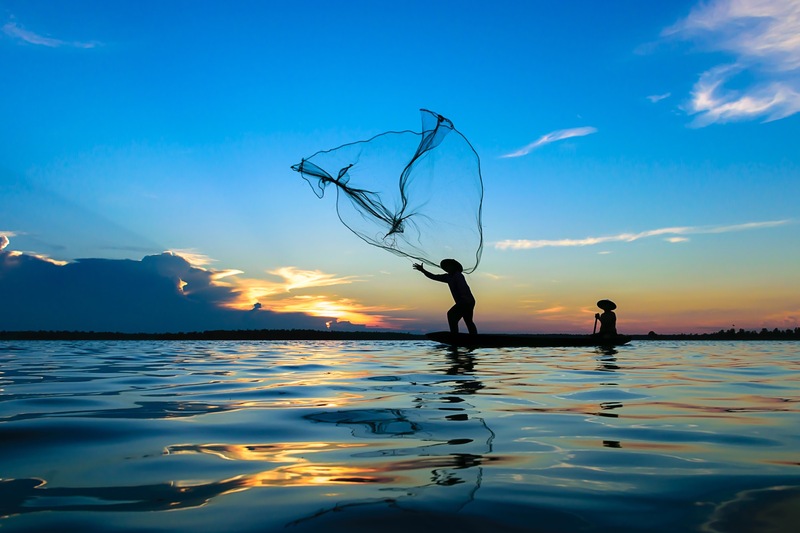 The fishermen, the majority of whom are not locals, do not care about the environment. One fisherman, for example, threw his plastic bottle into the river after filling up the motor engine. When I told him to look after the river, he merely shrugged his shoulders. I wish that the local council would just pay some attention to giving the fishing village a facelift. Apart from that, there was the smell of salted fish and the fresh breeze coming from the sea. For the dolphin sighting, the cruise starts as early as 7am, but according to Rachel Ho of Eagle Sight Seeing Tour, dolphin sighting is seasonal. she said. However, if there are 15 persons, the boat can go further out into the sea where the dolphins are more likely to be sighted. Although the local fishermen were willing to take us out into the sea supposedly to look for the dolphins, Ho refused to bring us out because she knew that the dolphins would not be easily sighted. It is also possible for people to stay overnight in Ipoh or even in Taiping, and take an early drive to the fishing village for the dolphin sighting tour. The drive from Ipoh to Kuala Sepetang is only slightly more than an hour, but it is still possible to do budget homestay in Kuala Sepetang. 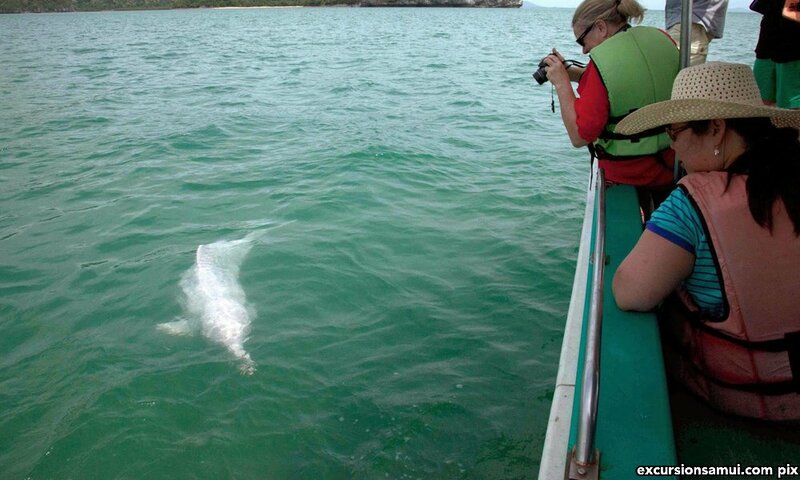 The dolphins sighted here are mainly the beautiful pink Indo-Pacific humpback dolphins. According to the Hong Kong Dolphin Conservation Society, these pink dolphins are nearly extinct, with their numbers declining from 158 in 2003 to 61 in 2014. One no longer has to travel all the way to Hong Kong to see the beautiful sea creature when it is available in Kuala Sepetang. After all, to the local people, the name Sepetang came from the idea that it takes only one evening to cycle from Taiping. Although Ipoh may be a smaller city compared to Kuala Lumpur, there are really a lot of places to eat some of the best of Ipoh street food and buy biscuits. The most popular place now is around Jalan Theatre, where we bought as many as eight packets of salted baked chicken from Aun Kheng Lim’s shop on behalf of family and friends! 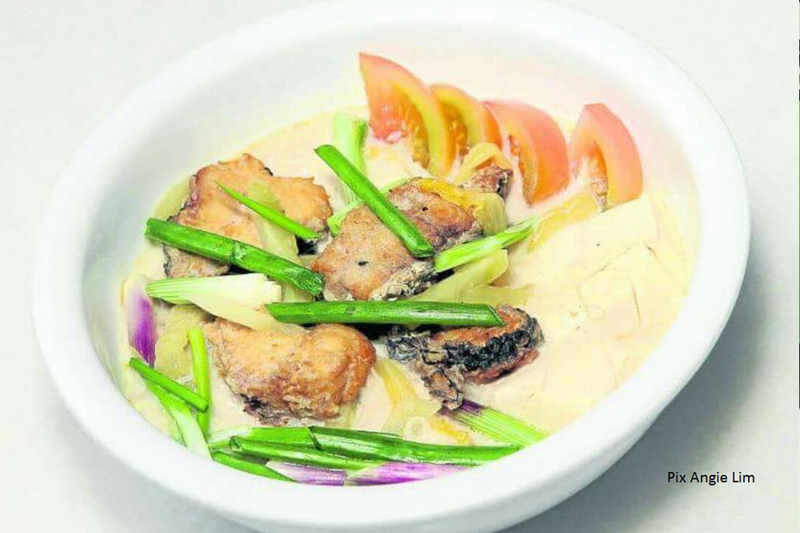 Although there are several other stalls selling the salted chicken selling at almost the same prices, Aun Kheng Lim happens to be the one on The Star’s Street Food Guide. There is also the famous Ipoh chicken and taugeh at either Lou Wong restaurant, which could be quite pricey, too as well as the dim sum at Foh San Restaurant at Jalan Leong Sin Nam. There are in fact several other dim sum restaurants in the same area. The Funny Mountain Soya Bean at No 49 Jalan Theatre is so far the best, but it is better to eat there on the spot for only RM1.50 instead of packing it, costing an additional 90 sen.
Over in Ipoh, we also managed to catch up with some old friends whom we had not met for at least 25 years. Thanks to the online application Waze, it is now easy and possible for anyone to find any location and this, along with the currency depreciation, is a boost for local tourism. Tomorrow, I will introduce you where and what to eat around Desa Aman Puri, where the prices are still reasonable, especially if you are living in the Klang Valley. 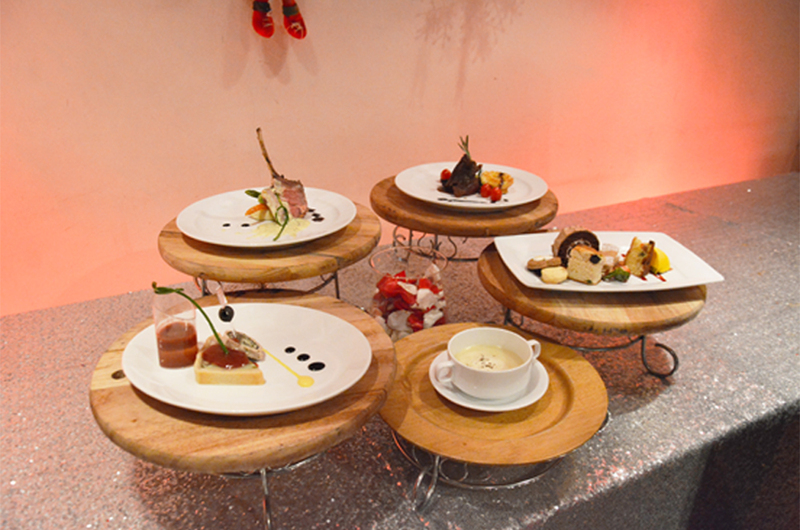 Sheryl Blogs: Christmas Arrives at Concorde! Christmas is and always has been my personal favorite time of the year. So imagine my glee when I found out that Concorde Hotel Shah Alam had plans to launch their Christmas buffet menu! Nestled in the hub of Shah Alam’s business and tourist attraction areas lies the award-winning Concorde Hotel Shah Alam. Strategically fronting the renowned Blue Mosque, it is only a 30 minute drive from Kuala Lumpur. 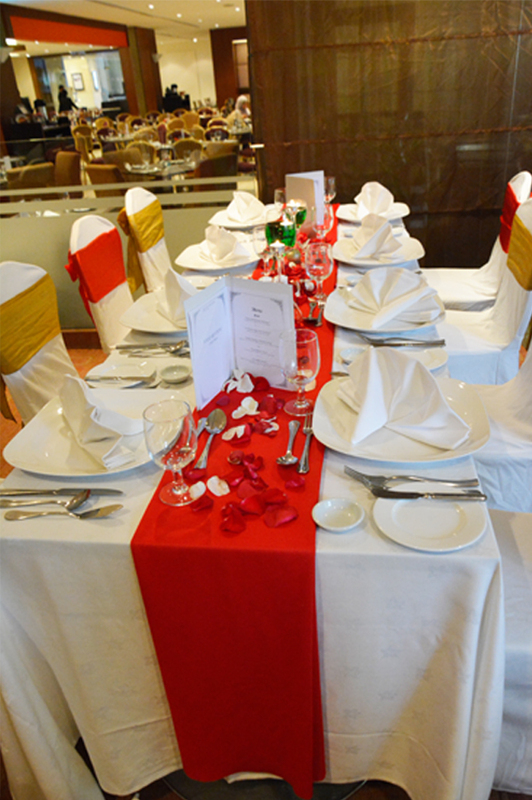 Our tables were dressed to remind us of the colorful Christmas that is about to arrive. Bright red and shiny green most definitely stirred my heart as we mingled and waited for our food to arrive. This Christmas Eve, expect something magical as Concorde Hotel Shah Alam will be lining up a fantastic spread for their diners. 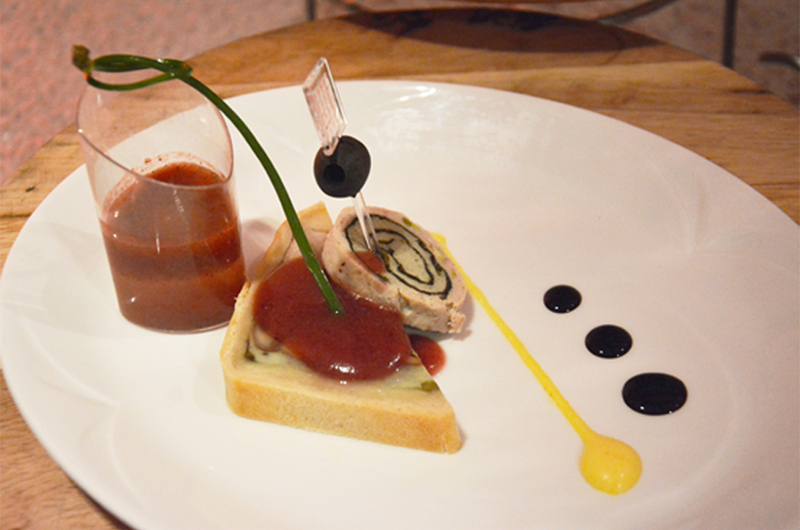 First up on our plate was the “Taste Entree Simply Delicious”, which features a traditional pate and seafood terrine with fruit gazpacho. Pate is typically served as an appetizer during Christmas dinners, so this seemed rather perfect. The seafood terrine had pecan nuts that added a layer of exquisite texture to it all. This was then followed by “A Perfect Soup from the Kittle”, an asparagus head soup with sour cream. Reminiscent of wintry Christmas stories, it warmed my tummy in a way not unlike stories of yore that include sitting by the fireplace and enjoying the magic of Christmas with the family. Next up were the two main draws of the spread – the first of which was the “Unique Display of Marble Caving”, which comprised a roasted prime rib eye and a side of yokeshire pudding, whilst “Characteristic Touch” was a slow roasted lamb rack of tender meat with ponzu mint butter sauce. Both dishes had its own unique touch, with the yokeshire pudding being a Christmas must-have. They say that stressed spelled backwards is desserts. After a tiring weekend, I could definitely do with some desserts and this array of sweet treats definitely did justice to my tummy. 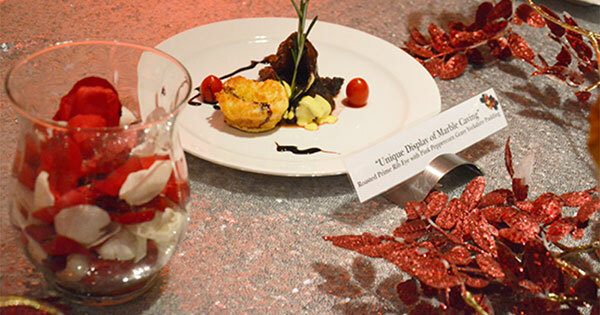 Dessert came in the form of “Irresistible Sweets”, which features an array of lovely Christmas desserts such as Bavarian cream, log cake, fruit stollen, fruit cake, assorted cookies and gingerbread layer with lemon cream. Priced at RM 120.00 nett per person, senior citizens enjoy a whopping 30% discount- definitely the perfect place to take your family out to for the holidays! Book your buffet dinner now! Jamilah cares deeply about the human condition. A humanist, skeptic and feminist, she is a proponent of both human and animal rights. 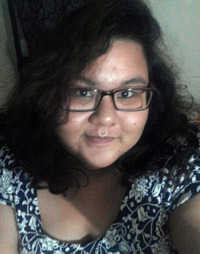 An avid gamer, she lives somewhere in PJ with her two cats and plays Dota 2 in her free time.